Dr. Yang is a board certified orthopedic surgeon in New York City specializing in the treatment of hand, upper extremity, and shoulder injuries and diseases. With over 20 years of experience in practice, Dr. Yang is an accomplished and nationally recognized clinician, researcher and educator. Dr. S. Steven Yang is an Attending Surgeon at NYU Langone Health and the NYU Langone Orthopedic Hospital (formerly the Hospital for Joint Diseases). He is a Clinical Professor of Orthopedic Surgery at the NYU School of Medicine. Over the years, he developed clinical expertise in the treatment of musicians, athletes, and pediatric patients. 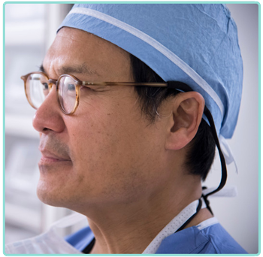 Dr. Yang is a regular presenter and invited speaker at national and international conferences and is considered an opinion leader in surgical reconstruction of the upper extremity. His research interests include arthritis, congenital deformity, and fracture care of the upper limb. 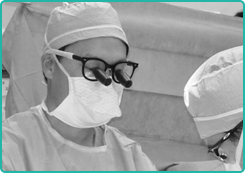 Dr. Yang was educated at Yale University, Duke University School of Medicine, and the Harvard School of Public Health. He received his post-graduate training at the Lenox Hill Hospital, Boston Children's Hospital, and the Hospital for Special Surgery. Among other recognition, Dr. Yang is listed in Castle Connolly's Top Doctors. He was also selected as one of the Best Doctors in New York Magazine™ and is included in The New York Times supplement, Super Doctors. Dr. Yang's office is on the main campus of NYU Langone Health at 530 First Avenue and 30th Street in Manhattan. Once in the medical center, look for the Silverstein elevators. Go to the 8th floor and follow signs to Suite 8U, which is the NYU Hand Center. Parking is available at the medical center.